Espace MicroCaps is glad to invite you to its first 5to7 cocktail of 2019, which will be about the mining sector. 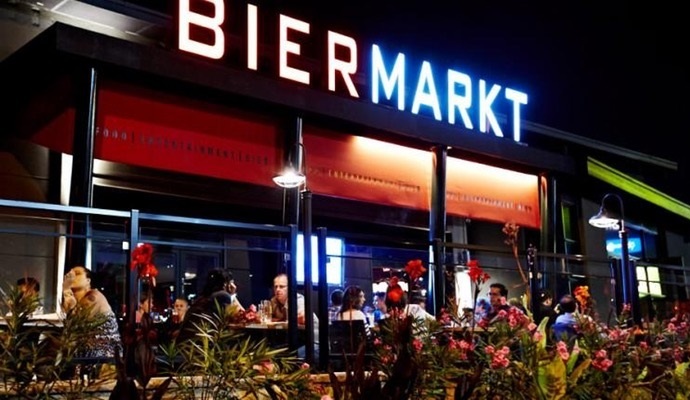 The event will take place at Bier Markt Montreal on Wednesday, February 20th at 5:00 pm. Our events are the perfect occasion to improve your investing skills, discover new investment opportunities in the Canadian microcap space and network with like-minded investors. The event will showcase three mining companies that have been hand-picked for the attractiveness of their fundamentals and long-term potential: Quebec Precious Metals Corporation (TSX Venture: CJC), Integra Resources (TSX Venture: ITR) and Beauce Gold Fields (TSX Venture: BGF). Please note that some presentations will be in French. Cost: 5$ / We will give all of the ticket sales proceeds to charity. Format: Networking period until 5:30 pm, followed by the three company presentations. You are welcome to stay for more networking after the presentations, around 7:00 pm. The first 75 participants to register and to show up at the event before 5:30 pm will receive a 10$ coupon for a free drink of their choice. No coupons will be given after 5:30 pm. A poutine bar will be offered to all attendees and appetizers will be served during the cocktail as well. About: Quebec Precious Metals (QPM) is a new gold explorer with a large land position in the highly-prospective Eeyou Istchee James Bay region, Quebec, near Goldcorp’s Éléonore gold mine. QPM’s flagship project is the Sakami project with significant grades and well-defined drill-ready targets. QPM’s goal is to rapidly explore this project to advance it to the mineral resource estimate stage. The company benefits from an experienced management team led by CEO Normand Champigny. Those who attended our mining cocktail event last year will remember that Mr. Champigny was the guest speaker that night and delivered a captivating presentation. About: Integra Resources is a development-stage company engaged in the acquisition, exploration and development of mineral properties in the Americas. The primary focus of the Company is the advancement of its DeLamar Project, consisting of the neighboring DeLamar and Florida Mountain Gold and Silver Deposits in the heart of the historic Owyhee County mining district in southwestern Idaho. The first exploration program in over 25 years began on the DeLamar Project in 2018, with more than 23,000 meters drilled. The management team comprises the former executive team from Integra Gold Corp until it was acquired by Eldorado in May 2017 for $590 million. About: Beauce Gold Fields is a gold exploration company focused on placer to hard rock exploration in the Beauce region of Southern Quebec. The Company’s flagship property is the Beauce Gold project, a unique, historically significant gold property located in the municipality of Saint-Simon-les-Mines. Comprising of a block of 152 claims as well as seven real estate lots, the project area hosts a six kilometer long unconsolidated gold-bearing sedimentary unit. Textural observations of gold nuggets suggest a relatively proximal source and therefore a short transport distance. The gold in saprolite indicates close proximity to a bedrock source of gold, providing possible further exploration discoveries. The property was host to Canada’s first gold rush before the 1890s Klondike gold rush and also hosts numerous historical gold mines that were active from 1860s to the 1960s. The company started trading on the TSX Venture on February 4th, 2019. You have the opportunity to be some of the first investors to hear management present this new company! We are thrilled to organize a mining special for a third consecutive year. Those familiar with our investment style know very well that we are far from being mining experts. However, we remain interested in the industry for the simple reason that we can sometimes find exceptional investment opportunities. This is particularly true in Quebec and Canada, where you can invest in companies run by solid management teams that have proven themselves. We believe that is the case for the companies that will present at the cocktail! Again, to book a ticket, please click here. We hope to see many of you on February 20th! Holds no securities of Quebec Precious Metals (CJC.V), Integra Resources (ITR.V) and Beauce Gold Fields (BGF.V). Although the Fund does not hold any securities of these companies as of today, the Fund may acquire these securities in the future. The primary objective of the 5to7 Cocktail events that we hold on a regular basis is to allow very small companies to present their products and services and to tell their story to a new investing public. Each company that will present at the event will pay Espace MicroCaps an amount of $2,000 + taxes. This amount is used to cover the cost of drinks and hors-d’oeuvres offered during the event and to compensate Espace MicroCaps for the efforts related to the organization of the event. Espace MicroCaps is not responsible for direct or indirect trading losses caused by the information presented by companies at the event. Everyone is advised to make their own analyses and inquiries and to consult their own professional advisers with respect to legal, tax, accounting and other matters relating to the acquisition, holding or disposition of an investment.